Celebrating 2 years of sobriety, Velvetears takes to Soundcloud to release a new song called "3 Ghosts." The new track from the Los Angeles based singer is produced by Ashton Traitor. Along with the upload, Velv took to Twitter to share this message: "Today I’m 2 years sober from heroin & I wanted to give yall a song to listen to so we can cry together tonight. Love you guys, thanks for giving me a life where I want to keep trying. "You can stream "3 Ghosts" via Soundcloud below. 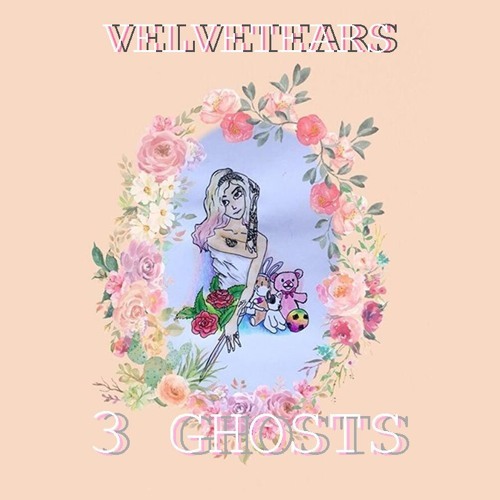 Celebrating 2 years of sobriety, Velvetears takes to Soundcloud to release a new song called “3 Ghosts.” The new track from the Los Angeles based singer is produced by Ashton Traitor. You can stream “3 Ghosts” via Soundcloud below.